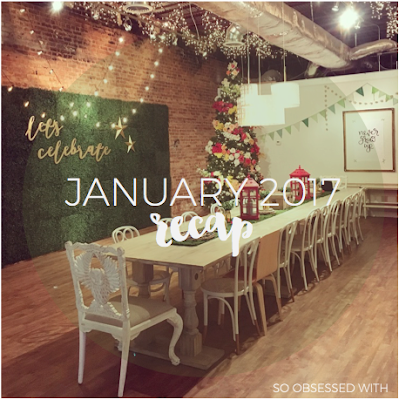 The first month of the new year went by in a whirlwind! I had such a lovely month overall, filled with fantastic memories. It actually made it hard for me to choose what to highlight in the section below! 1. Watching My Boy Grow - On February 3, my boy turned nine months old. I can't believe how old he's getting. Sometimes it seems like he was just born! In January, it was so fun to watch all the changes taking place - he was crawling everywhere, pulling up and standing, babbling all the time and more. I love this precious one! 2. Adventuring with My Mom & Boy - Nick had to go out of town for work in January, so I packed up my stuff and headed to my parents' house with my boy. I loved staying with them, and we had several adventures while I was there. My favorite was visiting The Story Shop, an incredible children's bookstore. 3. Audiobook Addict - I've enjoyed audiobooks in the past, but I suddenly turned into an audio addict in January. I don't know what finally clicked, but now I'm completely hooked! I read seven books in the past month - and four of them were on audio. I think it's helping me read more right now, which is a huge benefit. 4. Deanna Raybourn & Joshilyn Jackson Signing - I was looking through the Events page for FoxTale Book Shoppe and noticed that Deanna Raybourn and Joshilyn Jackson would be there at the end of the month. I decided to go, even though I was still reading A Curious Beginning, and the event was absolutely delightful! “But you have been strong before, and you will be now. What is burned can be replaced; what is destroyed can be made again. but I do sympathize with how strange it must sound to you. Alexa and I kicked off the new year with a series of posts about The Picky Pledge. In Statistically Speaking on 2016, I featured my reading stats and reflections from the past year. In The Picky Pledge: 2016 Review, I talked about the biggest change I made last year... and the biggest area where I still need to improve. 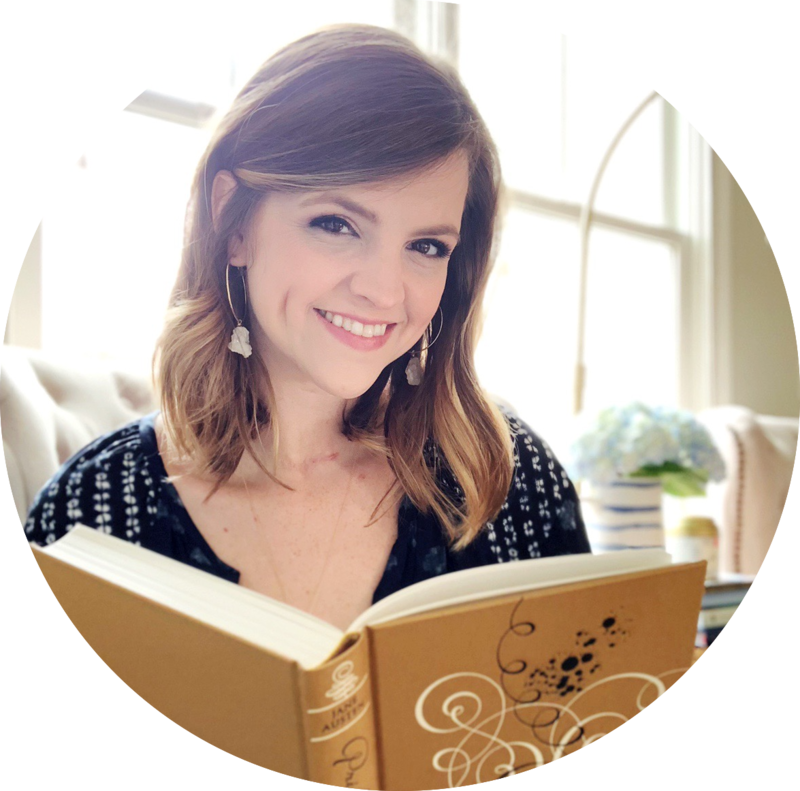 In The Picky Pledge 2017, I talked about my goals for this year and introduced The Picky Pledge Reading Challenge. Later in the month, I posted a review of the first book I read for The Picky Pledge Reading Challenge: The Summer Before the War by Helen Simonson. 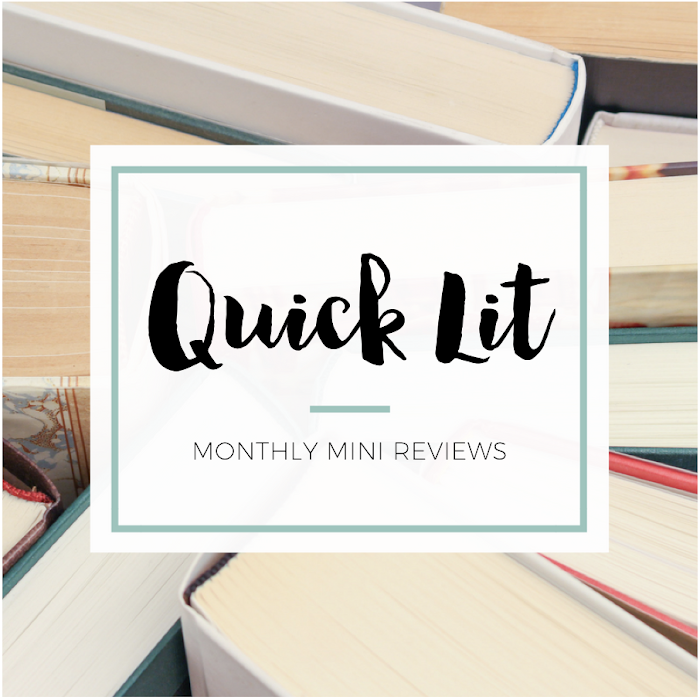 Finally, I decided to participate in Quick Lit: January 2017 by recapping everything I read the past month. I'm hoping to continue throughout the year so that I'll stay up to date on reviews! 1. The Big Five US Trade Book Publishers by Ali Almosssawi - I'm always looking up imprints and publishers to try to figure out which ones go together, so you better believe I bookmarked this handy chart after seeing it shared on Twitter one day. It's so helpful if you're interested in this information! 2. Your Afternoon Chat: Books! by Go Fug Yourself - I love reading Go Fug Yourself, and my favorite posts are their afternoon chats. 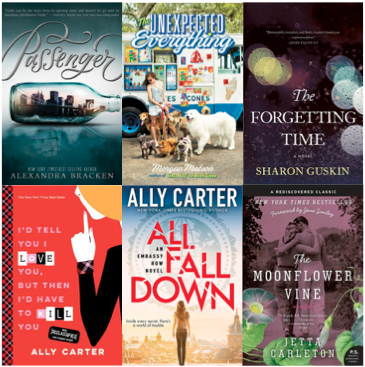 They have so many smart blog readers who offer excellent recommendations! In January, they posted about books and I still haven't finished going through all the comments. 3. Bullet Journaling for Books: 2017 Set Up by Super Space Chick - I tried bullet journaling last year, and I loved some aspects and hated others. I just can't give up my traditional planner! I decided to take my favorite parts of bullet journaling and create a reading notebook, but I wanted to gather ideas before I started. 4. How I Read 313 Books in One Year by Leigh Kramer - While I don't see myself reading this many books in a year (at least in the near future), I loved Leigh's reflections on how she ended up finishing so many books last year. I'm trying to incorporate a few of them into my reading life in 2017 and see if they help! I followed it up by having this album on repeat in January. I can't pick a favorite song! Sherlock, Season Four (2017), starring Benedict Cumberbatch and Martin Freeman - I have very mixed feelings on this season. I hated the shocker in the first episode, and I thought the last episode was a convoluted mess. But the rest was okay? I miss when Sherlock and Watson were solving a new case each episode. Hidden Figures (2016) starring Taraji P. Henson, Octavia Spencer and Janelle Monáe - I mentioned to my parents that I wanted to see this movie, and my dad offered to take me. We had a blast! This movie was fantastic and made me wish I'd heard of these women before! I'm thrilled that their story is finally being told. I don't remember the exact timing, but I think it also may have been around when my somn was 9ish months that my audiobooks usage really went up. It definitely has helped me read more with a little one around. It's tapered off a bit now that he's talking and interacting more, but still great for multi-tasking when I'm doing chores or whatnot when he's napping or my husband is on kiddo-duty. And I have to mention how FANTASTIC the audio of A Snicker of Magic is. I'm reading it based off your recommendation, but wasn't sure what format you read until I saw the print copy here. I'm only on Chapter 9, but I'm totally hooked. If you want to re-read it someday, definitely give the audio a try! Oh wow! Thank you so much for referencing my bullet journal video! That was such a nice surprise to see while reading your recap<3!!! January looks so lovely for you, H! And I"m so happy whenever a new post from you pops up in my feed. Ahem. I definitely want to check out Deanna Raybourn's A CURIOUS BEGINNING after seeing you mention that you enjoyed it! I hadn't heard of "A Curious Beginning" before, but who can say no to that cover? Immediate add to my TBR list. And I totally feel you about bullet journaling... SO pretty, but I'll just stick with my trusty traditional planner (but I did end up adding some aspects of bullet journals to my regular journal, just for fun!). I'm so glad you had fun adventures with your parents and son! That bookstore looks pretty amazing :) I still need to buy the Hamilton Mixtape but I love what I've heard so far. Satisfied is so great!! My dad sent me Hamilton: the REvolution as a surprise, which was very cute. It's fun to flip through. I might have told you this before but A Snicker of Magic seems like such a Hannah book. Hidden Figures was one of my favorite recent movies! Wonderful.